"You want to know what? Let’s celebrate it, man," said Oh, the first person of Asian descent to be nominated in the leading drama actress category. "I’m serious, just (expletive) celebrate it. It’s like, we’ve got to start somewhere, we’ve got to start somewhere. And I’m happy to get that ball rolling, because what I hope happens is that next year and the next year and the next year, we will have presence. And the presence will grow not only to Asian-Americans, you know, from yellow to brown, but to all our other sisters and brothers, you know, our First Nations sisters and brothers. Our sisters and brothers of different sizes and different shapes. If I can be a part of that change, like (expletive) yeah, let’s celebrate it." ALSO: Grey's Anatomy team celebrates Oh's nomination. 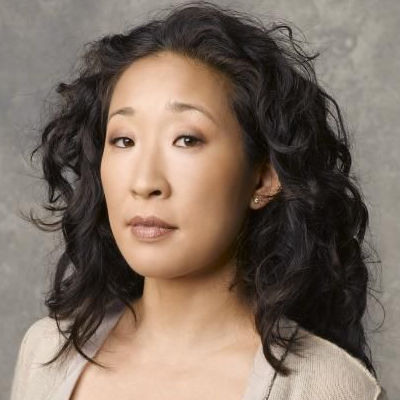 Sandra Oh: Killing Eve had to go from "cat and mouse" to "cat and cat"